Bad news first: if you neglect spring lawn care, you could end up paying for it for the rest of your year! 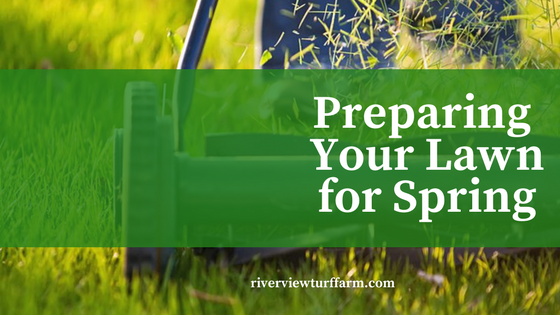 Here’s the good news: the tasks required in spring aren’t nearly the amount of work that you’ll be spending mowing alone this summer! Check out the tasks below in order to prepare your lawn for spring. Raking should be your first task when beginning your spring lawn care! You may be thinking, “I just spent my entire fall raking leaves”. However, raking is more than just removing leaves – it is for controlling thatch, too! If your thatch has a build-up of more ½ inch, it is considered excessive. Another great reason for spring raking is to see if any of your grass blades are stuck together causing matted patches. New grass may have difficulty growing through these patches, but raking will help to solve this problem! Has your lawn fallen victim to bare patches caused by dog spots, heavy traffic, or neglect? If so, you may need to apply grass to fill in these patches. This is known as overseeding your lawn. The preferred time to overseed lawns is during fall, but if your situation is dire you can begin in spring. Do you have a problem with crabgrass or weeds? If so, then your spring fertilization should go hand in hand with the application of preemergent herbicides. Preemergent herbicides help to address weed control before their seedlings can even emerging. Mowing the lawn all summer can be tiring, right? Don’t make it more difficult by putting up with a lawn mower that doesn’t start! If your lawn mower unit is a little stubborn about starting, this may be a sign that it needs to be tuned up. Once you trim off the dead ends of your trees and shrubs, they will begin growing again! The most important thing about trimming is to be careful about the trimming growth. You want your new growth be healthy enough to sustain itself in case of a cold snap. For flowering shrubs, be sure to wait until the flowers bloom before you cut off the limbs! This will ensure that you don’t trim off limbs that may produce flowers or fruit. The most important part of spring lawn care is to make sure that your lawn has plenty of time to come back to life during those early spring months! If you do it right, the sun and soil will do most of the work for you. If you are in need of any quality turf grass, contact our office at (866) 298-1504.